Today we discuss how to backup your Android phone without rooting your phone. We all keep important contacts, photos, and data on our phone that we don’t want to loose but what happened if you lost or damage your phone? You can still get that if you take a backup first. Having a backup of your Android phone is helpful. It keeps all your data, contacts, media and SMS safe. If you ever lost or damage your phone you can easily restore your data if you take a backup first. I suggest everyone to take backup of your phone but making the backup is the only half task, and the other half is how smartly you restore your data when you need it. It is always advisable to save your backup folder on your computer or backup your android phone in cloud storage or PC. There are many options to create a backup, and here we show you how to create full Backup of your Android Phone Without Rooting your device. 1) Backup your Contacts and Calendar – The Best way to take backup of your contact is to export all contacts to sd card and later save it to your PC or cloud. For that Open your contact app, press menu and select ‘Import/Export‘ and choose ‘Export to Storage’. Your contact will be saved on sd card in ‘.vcf‘ format after clicking it on export. 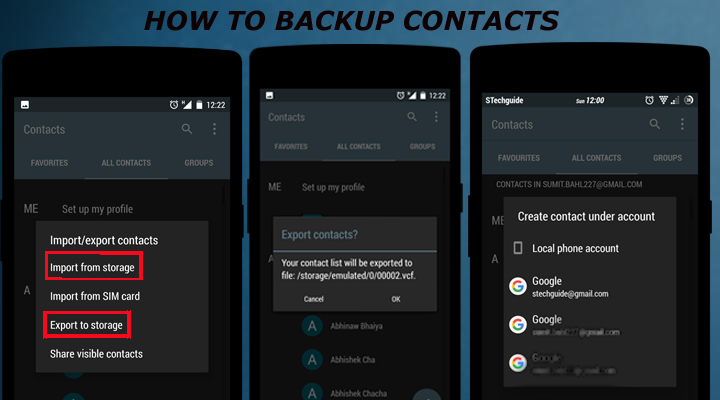 Another (Recommended) way to Backup your Contacts is to save it on Google. If you not already saved your contacts to Gmail, go to the settings menu of your contacts and select ‘Import from Storage’. Select your ‘.vcf’ file and save it your Gmail. 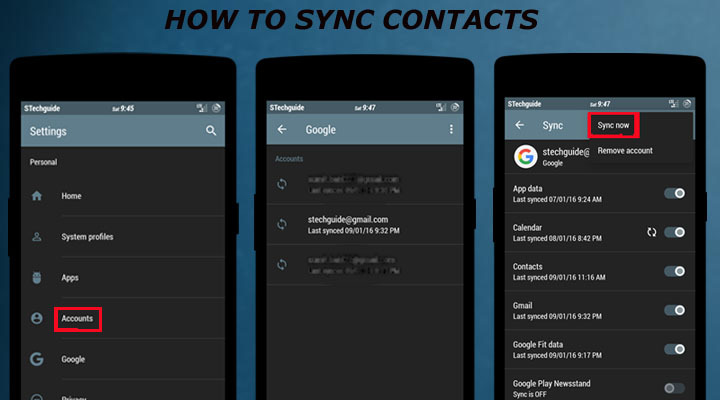 After that, your contacts will automatically sync whenever you sign into your Google Account. You can also sync manually by go to setting – Account – Google. Select your account and click on sync now from a menu or you can sync individual. It will also backup and sync your Gmail, calendar, and Google+ accounts. You can also check how to sync Facebook birthdays with Google calendar. 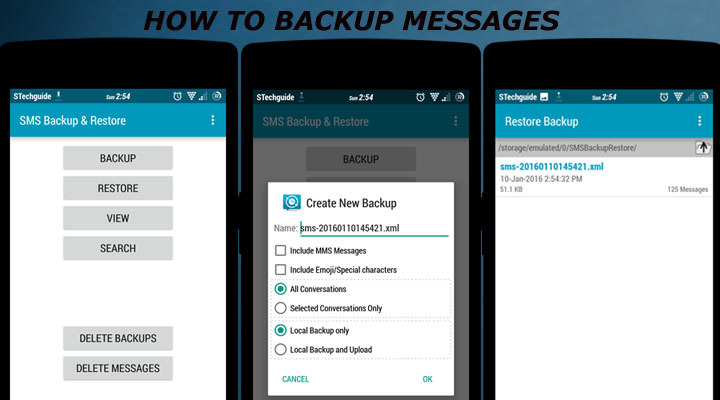 2) Backup your SMS – Every Android users used SMS service on their phone. If you want to keep your SMS safe, this app will help you. It will restore every single SMS you send or receive. All you need an app SMS Backup and Restore. Now open the app and click ‘BACKUP‘. The backup will create locally on your phone; you can also save it to cloud or PC to restore in future. To restore just click ‘RESTORE‘ and it will restore your SMS. Note-If you don’t see any messages after restore disables the messaging app from setting and re-enable it. 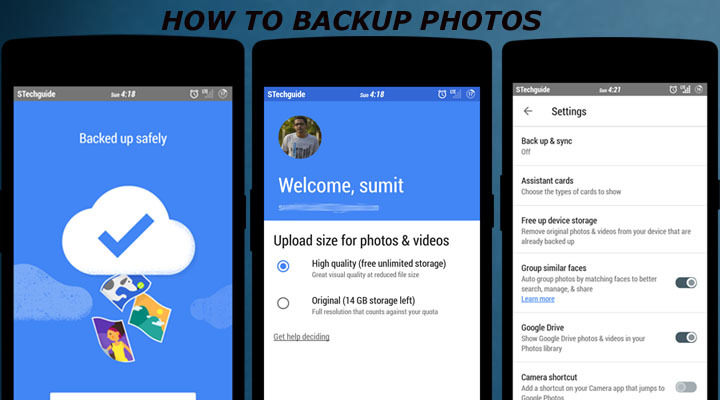 3) Backup your Photos – Taking a backup of your photos is very simple with the help of Google Photos app. Photos a beautifully organized gallery app that automatically makes a backup of your photos. All you need to do is open the app and turn on Auto Backup and sync option and it will backup your photos on Google Drive. Another alternative to taking backup of your photos in Android phone is Photobucket app. 4) Backup your Apps – You can take batch backup of all your apps with App Backup and Restore. It only backup apk of your apps, not data. If you want to backup your apk with data you need a root access. You can easily backup and restore your apps with a single click. This app will automatically backup your newly installed app and also has an option to save your backup to sd card. 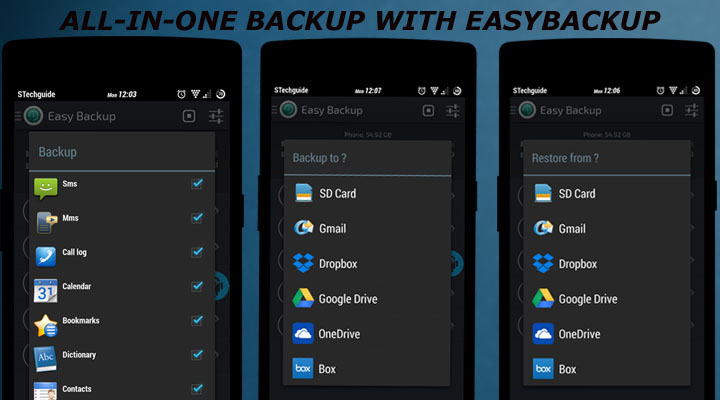 5) Complete All in One Backup – Either you can take backup of your Android phone individually with above methods, or you can use all in one backup tool like Easy Backup and Restore. This app will let you backup your Android phone on a sd card, Google Drive, Dropbox or Box. As the name suggests, you can easily backup your contacts, SMS, call logs, bookmarks, calendar, and apps and restore each individually according to your needs. A good alternative to easy backup and restore is My backup pro that is also an excellent option. 6) Backup your Rooted Android Device – If you are using rooted Android device then you can easily take backup of your device with only one app. 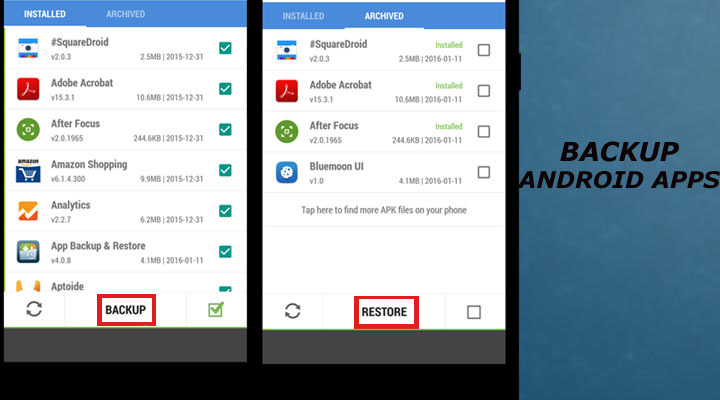 Follow the below method to backup and restore a rooted Android device. This is the complete guide of How to backup your Android phone. 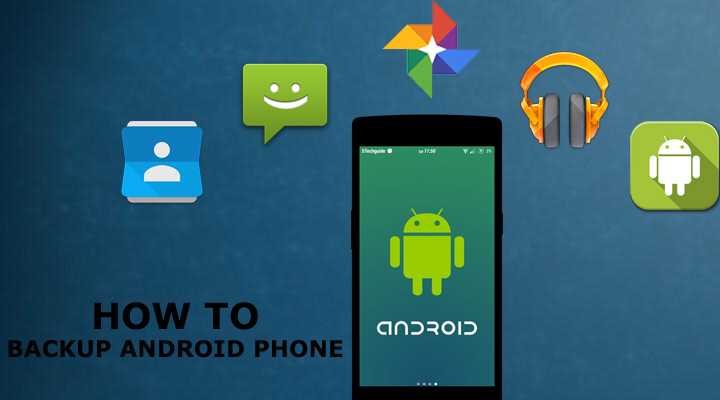 These are also some other methods to take complete backup of your Android phone, but the choice is yours. Let us know which backup method you choose by comment below.